What is phosphate diabetes(XLH)? | Phosphatdiabetes e.V. access_timeVerfasst am 18. Mai 2018 um 9:12 von Phosphatdiabetes e.V. X-linked dominant hypophosphatemic rickets (XLH, phosphate diabetes) also known as X-linked hypophosphatemia is a rare inherited metabolic disorder which affects the skeletal system as well as the mineralization of the teeth. A healthy solid bone consists of a basic bone substance as well as a certain ratio of the minerals calcium and phosphate. 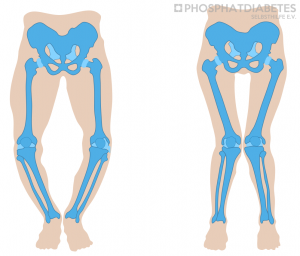 If there is a disturbance of one of these three important components softness of the bones may appear, especially in the lower extremities with bowing of the bones in the lower and/or upper legs. However, with XLH(phosphate diabetes) there is a malfunction of the PHEX-gene, which leads to an increased synthesis of the hormone Fibroblast Growth Factor 23 (FGF23). FGF23 is mainly produced in the bone cells and acts as a major regulator of phosphate hemostasis and vitamin D metabolism. However, if the genetic modification leads to an increased circulating levels of FGF23, this causes an impairment of the phosphate reabsorption in the kidney into the organism. Normally 90% of the phosphate filtered in the kidneys is returned to the body. The increased concentration of FGF23 leads to an impairment of the reabsorption and to a disproportionately high excretion of phosphate in the kidneys into the urine. This results in a low level of phosphate in the blood and consequently phosphate deficiency in the skeletal system. The latter causes a disturbance of bone and cartilage mineralization with softness of the bones especially in the legs. 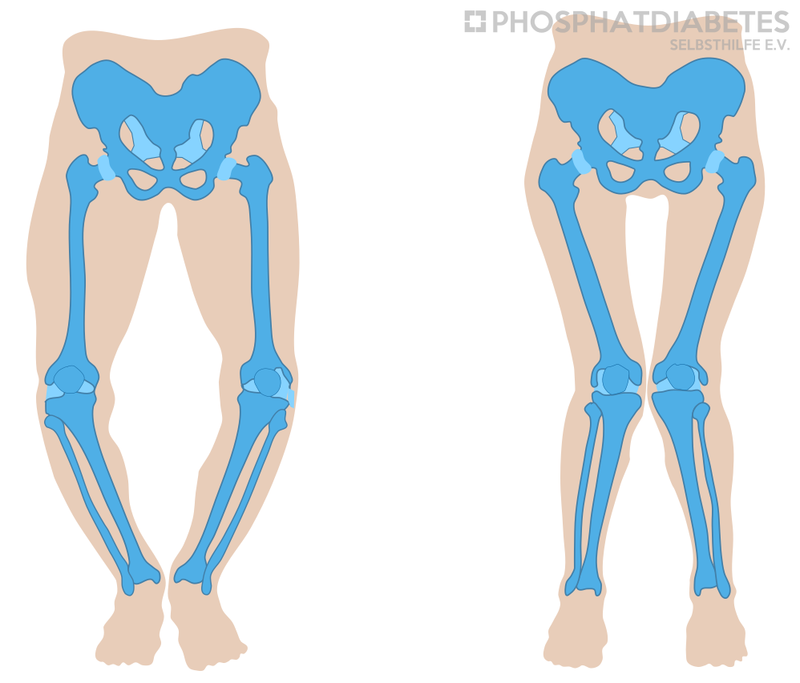 This is called hypophosphatemic (= not enough phosphate) rickets (=week or soft bones). The illness is linked to the X-chromosome. In other words, if the father is affected with XLH all daughters are affected, but all sons are in good health. However, is the mother affected with XLH, half of the sons and half of the daughters will be affected. The manifestation of the disease within a family can be quite different. Meanwhile more than 300 different disease-causing genetic factors of the PHEX-gene (gene mutations) have been described. Next to the inherited form of XLH there are patients from families in which neither father nor mother had the disease. This is the case with approximately one third of the patients. It is called a spontaneous mutation. The incidence of this rare metabolic bone disease is estimated to be about one affected newborn per 20,000 to 25,000 newborns. Despite this rarity, it is the most common congenital rickets form. These specialists will do more laboratory tests which will either confirm or exclude the suspected diagnosis. Next to more laboratory tests an X-ray of the (mostly left) hand is necessary, which in the case of XLH usually indicate so called rachitic changes. They are evidence of impaired bone mineralization. In about 80% of the patients the diagnosis can be confirmed by a genetic test, which should be done if the medical family history is negative or if the medical findings are doubtful. In children of patients affected by the disease the diagnosis can be made even before the manifestation of symptoms in the first few weeks of life with laboratory tests and/or genetic testing in case of a known family mutation. Conventional treatment of XLH is done by supplementation of oral phosphate and high doses of active vitamin D. Phosphate is given in multiple daily doses. Babies and small children receive the phosphate mostly as a solution. Children in later school age may be given phosphate capsules. In additon to phosphate the administration of active vitamin D (active substance is alfacalcidol or calcitriol) is required. It can be given in liquid form, and later as capsule. With this combination therapy more of the phosphate administered with food can be absorbed by the intestine and then be transferred to the body. Ideally it is possible to transport enough phosphate into the skeletal system that the activity of the bone turnover (alkaline phosphatase in serum) value is largely normalized, that the bone is well mineralized and thus is more stable and resilient and that growth improves. The sooner the therapy is initiated the better is the chance that the bowing of the legs will regress after about 3 or 4 years and that alone with the medication an orthopedic operation is not necessary. Unfortunately, there may be problems with taking in particular the phosphate, because the phosphate does not taste good. Larger doses of phosphate can cause abdominal pain and diarrhea. Therefore, it is important to distribute the daily medication of phosphate in as many small portions as possible. Recombinant human growth hormone (rhGH) has been used in numerous clinical studies for treatment of short children suffering from with XLH despite conventional therapy. These clinical studies showed an increase in age-adjusted body height compared to untreated patients (i.e. no rhGH therapy but treatment with calcitriol and phosphate) of about 1.0 SDS (standard deviation score) over a period from 1 to 3 years. Prepubertal patients responded much better to rhGH therapy compared to adolescent patients. In a recent study, long-term growth outcome in a small group of very short children with XLH treated with rhGH was compared to an untreated control group. The children treated with rhGH showed a better final size (-2.4 SDS compared to -3.3 SDS). However, due to the small sample size the difference probably was not statistically significant (p=0.082). In summary, it can therefore be said that general treatment with rhGH is currently not recommended in short children with XLH. rhgh has not been approved for treatment of short stature in children with XLH. The drug therapy occasionally may lead to calcium deposits in the kidneys. (nephrocalcinosis). Therefore, a renal ultrasound should be done every 1 – 2 years. The thighs and/or lower legs of XLH patients often are bent in strong X- or O-leg position. This leads to a striking gait pattern (waddling gait). The sooner the patients are diagnosed and the treatment is started, the greater the chance that this leg malposition will be corrected again on medication alone. However, if this should not occur after 3 to 4 years of consistently performed drug therapy, growth guidance by means of so-called eight-plates is usually required. With older children / adolescents a major surgical procedure (corrective osteotomy) may be necessary. The success of these surgical therapies depends largely on the consequent use of phosphate and active vitamin D.
Children with XLH usually are of normal growth and weight at birth. With the second year of life a slower rate of growth leads to a poorer growth of body length than one would expect in the height of their parents. Even with a well dosed medication and straight legs, patients with XLH as adults are usually of borderline normal size only. On the other hand, children of tall parents without phosphate diabetes can be of absolutely normal height as adults. Patients with XLH also may have a disturbance of the development of tooth enamel and dentine of the primary teeth as well as the permanent teeth. Not infrequently fistulas or inflammatory changes of the tips of the roots with suppurations (abscesses) in the jaw are observed. Regular dental examinations are recommended to counteract possible loss of teeth. First and foremost, however, thorough daily dental care is necessary. Very rarely a hearing impairment of the inner ear may develop. If there are indications of a hearing impairment an ear, nose and throat doctor should be consulted. Very rarely is there a conspicuous development of the skull. If there is evidence of more frequent headaches in addition to the conspicuous development of the skull, a consultation with a pediatric neurosurgeon should be done in agreement with the pediatrician. In December of 2017 a group of 20 experts of pediatrics, nephrology, endocrinology, rheumatology, orthopedics, dentistry and neurosurgery as well as patient representatives from Germany and France met in Berlin to develop treatment recommendations for this rare disease. This will probably be published at the end of 2018. A German translation is planned. About 10 years ago, a Japanese team succeeded in developing an antibody against FGF23, which mediates many disease manifestations in patients with XLH. The efficacy and safety of this drug (Burosumab) to ameliorate bone disease in children and adults suffering from XLH was proven in several clinical studies. Therefore, this drug was approved by the European health authrorities for treatment of children and adolescents with XLH showing persistent bone disease with growth potential (open epiphysis on the X-ray of the left hand). So far this drug is available in Germany only, but will probably available soon in other European countries. The drug is given by two-weekly subcutaneous injections by a doctor or a nurse. 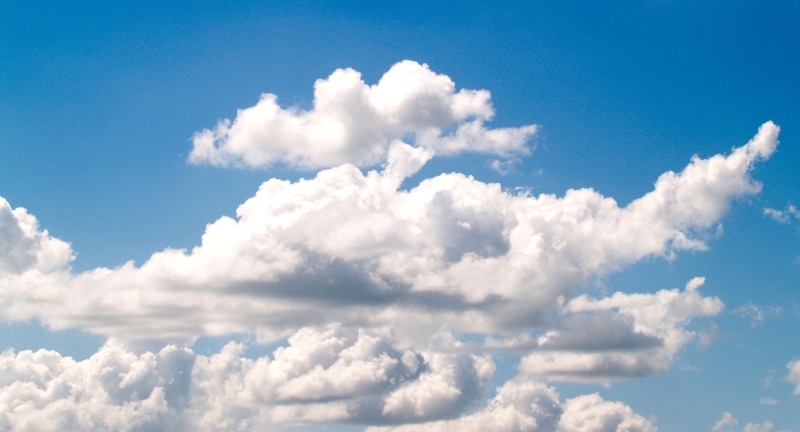 Then the previous therapy with phosphate and active vitamin D would no longer be necessary. It needs to be clarified which patients will benefit from this new therapy and which patients should be further treated with conventional therapy (phosphate and active vitamin D). Specialists of pediatric endocrinology and pediatric nephrology from Germany have joined together to initiate a patient registry in order to learn more about the course of the disease and the effectiveness of therapy of children and adolescents with XLH. Following appropriate information and written informed consent of the parents and patients, the relevant clinical data of the patients are entered in a database after the personal data were made unrecognizable (pseudo anonymized). The register also provides for further clinical studies on the treatment of the disease. Taken together XLH is a rare hereditary disease that mainly affects the patient’s skeletal system and teeth. Early diagnosis and treatment is necessary to prevent complications, in particular of the skeletal system or of other organs. The treatment of this disease is not easy and should be done by a multidisciplinary team in a special consultation.